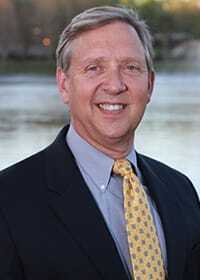 Dr. Timothy Lane received his undergraduate degree from Purdue University in 1979. He holds a Doctor of Dental Surgery (D.D.S.) degree from Indiana University School of Dentistry (1988) and has been in private dental practice since 1991. Dr. Lane served as an officer in the United States Navy Dental Corps, where he attained the rank of Lieutenant Commander. As leader in the dental community, Dr. Lane has held positions as Public Relations Director, Secretary, Vice-President, and President of the Dental Society of Greater Orlando. Dr. Lane also served on the Executive Council of the Central District Dental Association. He has had the privilege of representing colleagues and fellow dentists as a delegate to the Florida Dental Association. Dr. Lane has also been selected for membership in the American College of Dentists, the International College of Dentists and most recently completed his term as President of the Florida Academy of Dental Practice Administration. Committed to continuing his dental education, Dr. Lane spends many hours each year with the very best in the dental field. He continues his education by studying at the Spear Education Center in Scottsdale, AZ, The Dawson Institute in St. Petersburg, FL as well as being a member of the local Spear Study Club and the Greater Orlando Implant Study Club. Dr. Lane has been selected as one of Orlando’s Best Dentists in Florida every year since the awards inception in 2004 by the Woodward/White, Inc. Orlando Magazine assisted this Aiken, South Carolina firm in its award decision. Dr. Lane and his wife, Cheryl, enjoy travel, community service and spending time with their adult children.